Geoff’s specialist knowledge is centred on the health of the tummy or gut. He treats children from birth through their teenage years, diagnosing and supporting them and their families in the management of all types of gut problems, including abdominal pain, allergic gut disorders, Inflammatory Bowel Disease, Crohn’s disease, Irritable bowel syndrome, Gastroesophageal Reflux, constipation, Coeliac Disease, Hirschsprung’s disease, paediatric liver disease, digestive problems, childhood feeding disorders and more. His interest in paediatric gastroenterology is well established. Geoff was awarded his medical degree from the University of Western Australia in 1987 and trained in paediatric gastroenterology at the Alberta Children’s Hospital, Calgary, Canada. 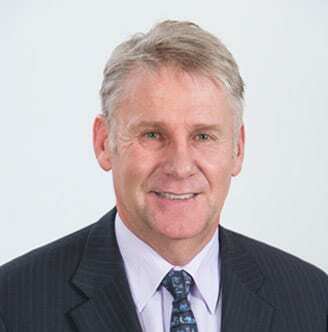 Since returning to Brisbane in 2000, Geoff has taken up appointments which include Director of Gastroenterology at the Mater Children’s Hospital and Director of Queensland Paediatric Gastroenterology, Hepatology and Nutrition Service at the Royal Children’s Hospital. He has also been a member of the Conjoint Committee for Recognition of Training in Gastrointestinal Endoscopy as a representative of the Royal Australian College of Physicians, since 2007. Today, Geoff is part of the Paeds in a pod team delivering comprehensive medical care with best practice standards and modern expertise. He is qualified to perform paediatric endoscopy and colonoscopy. He takes a holistic approach to patient care and, through diagnosis and effective management, aims to help children to live active and rewarding lives.